If true, the new model would slot neatly between the AMG C43 and C63. Right now, there’s an obvious gap in the Mercedes-AMG range between the and . 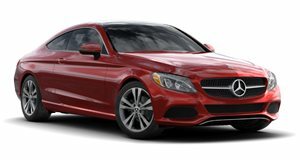 For those who want a model that’s cheaper than the top-of-the-range and more potent than the entry-level , a recent trademark filing from the World Intellectual Property Organization spotted by suggests that AMG is planning to add a new mid-range C53 model to the C-Class lineup. 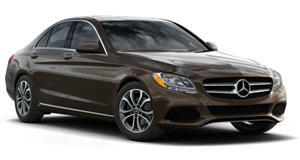 It would make sense, since the model would be in the same vein as the larger E53 and CLS 53 models. It isn’t known how powerful the C53 will be but being a mid-range model means it will have more than 385 hp offered by the 2019 and less than the 469 hp you get in the base . It wouldn’t be too surprising if Mercedes uses the same hybrid setup as the E53 and CLS 53 for the new C53, which utilize an inline-six 3.0-liter engine and electric motor to deliver a combined 429 hp and 384 lb-ft of torque. This output would slot the C53 neatly in between the and . Alternatively, the C53 could effectively replace the since AMG axed the E43 only a couple of years after it launched in favor of the E53. As well as a powertrain upgrade, you can also expect the C53 to receive similar styling tweaks as the AMG-powered E53 and CLS 53, such as chrome accents, a different quad exhaust system with new chrome tailpipes, and AMG’s new performance steering wheel. Considering the refreshed 2019 Mercedes-Benz C-Class only recently went on sale, the new AMG C53 AMG may not arrive until next year as a 2020 model year vehicle.